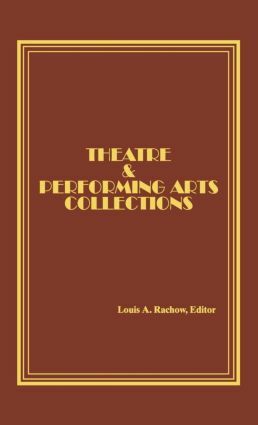 Here is an exciting book that provides detailed descriptions of dozens of the most important and unique collections of “theatricana” in the United States and Canada. In Theatre and Performing Arts Collections, distinguished theatre specialists, librarians, and curators describe the unique possessions of the best and largest collections in theatre and performing arts. Each chapter provides detailed descriptions of the collections, as well as important notes about their history--information that is not available in any other source!